This is what Campaign thinks the industry will be talking about the most from Google's annual developer conference. Using image recognition, this feature will recognize surroundings and display relevant content on your screen. Some ideas can be identifying species, pulling up relevant videos and information when pointing at a poster or even reviews and ratings of a restaurant or venue. While not the first to try tech like this, neither Pinterest Lens nor Samsung's Bixby Vision has the two billion people reach of Android, or the search power of Google. The feature that has The Verge most interested? Pointing Lens at Wi-Fi login credentials and having the Android-powered device use the info to log on. While this function will start out in a month or so with Google Photos app, it will eventually be available across all of Google Apps, including Assistant. While IBM's Watson may be keen on forming partnerships with anyone needing to access its AI capabilities, Google is keen on owning an intelligent cloud. 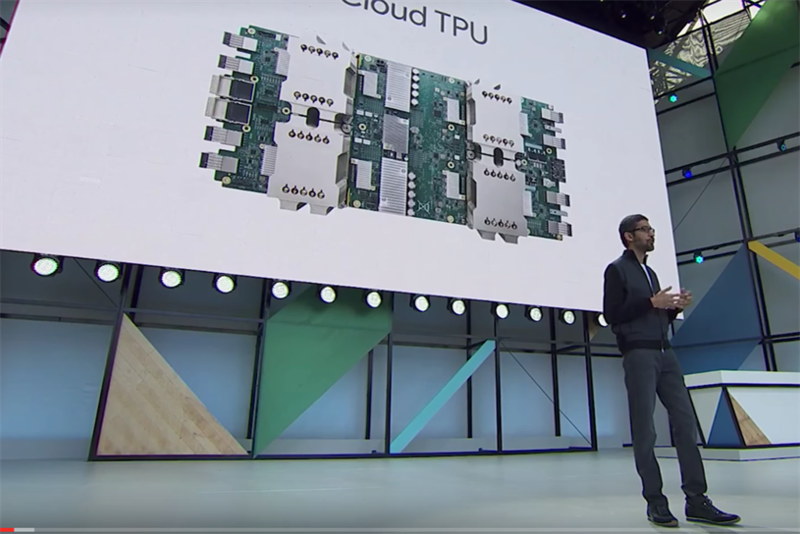 The company has created a next-generation Tensor Processing Unit, a specially designed chip for Google's TensorFlow platform. What it does is make the process of building an AI on Google's platform really fast—meaning it could become the dominant operating platform used by anyone looking to build an AI in future. For iPhone users sighing at missing out on the capabilities of the new turbo-charged Google Assistant, there will be an app for that. Assistant is now a standalone app on the iPhone. It's reportedly available in the US, but has yet to show up in the UK's App Store. Over the next few months, Google Home will allow for free calls in the US and Canada. It has also gotten more partners and will be able to control Soundcloud, Hulu and HBO Now. It will also work as a bluetooth speaker and, if you link screens to it, it can direct you to the best one to view things you ask of it—such as sending map directions to your mobile. This is further improved by Google introducing a software development kit for app developers. In a power play that takes on Alexa, once a restaurant or vendor is signed up, you could technically place and order and pay over Google Home or via any app that uses Assistant. Strapping a phone to your head is never going to provide the same experience as a surround headset. Google's plotting to launch headsets that don't require a phone or an external computer to power your experience. It also promises to offer the ability to have natural, physical movement translate into the VR environment without additional equipment with a feature it calls WorldSense, the next iteration of its Tango AR system. No word on when standalone DayDream is launching though!